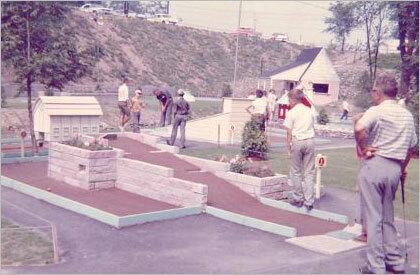 Our original course was built by Robert Taylor in 1947 on the property that is now West Genesee High School. 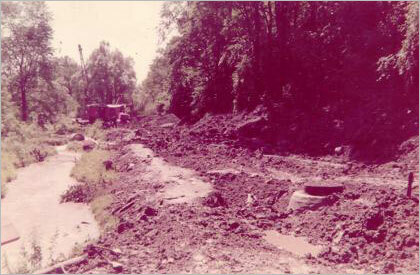 The course sat on what is now the drainage basin in front of the bus garage. 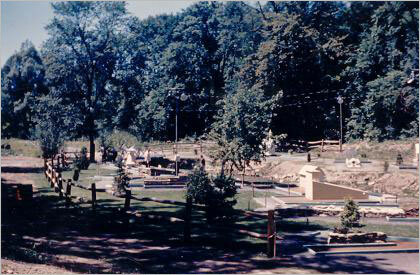 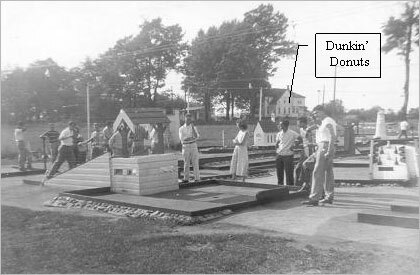 The sewer for Lake Lawn Tracks was put in the same year as the golf course, 1947. 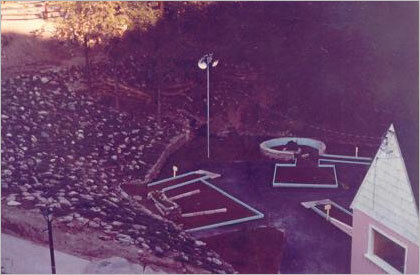 This view is from the club house. 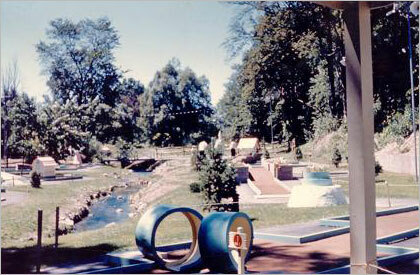 This view is from the second hole. 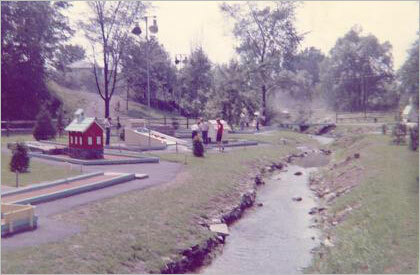 Some of our first miniature golfers. 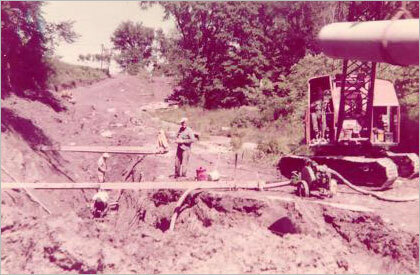 By the late 50s most—if not all—supply catalogs carried Taylor Brothers' obstacles. 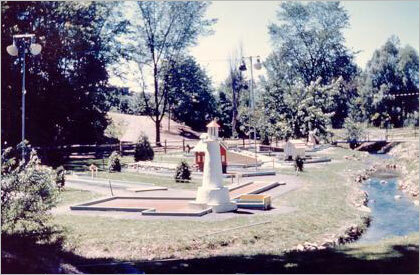 In 1961 Bob Taylor, Don Clayton of Putt-Putt, and Frank Abramoff of Arnold Palmer Miniature Golf organized the first miniature golf association known as NAPCOMS (or the "National Association of Putting Course Operators, Manufacturers, and Suppliers"). 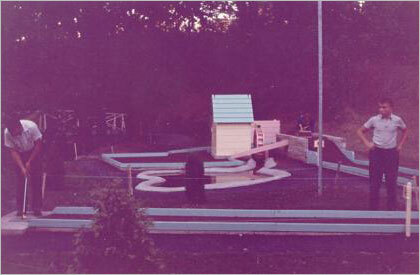 Their first meeting was held in New York City. 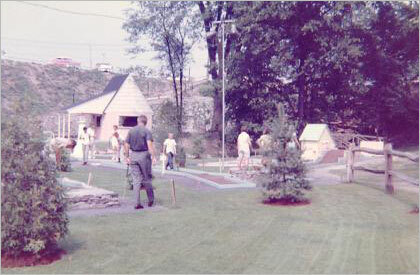 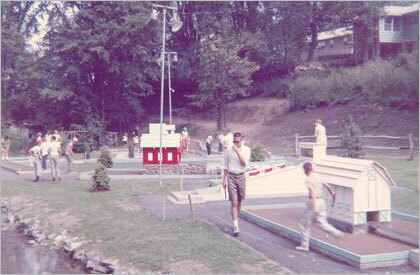 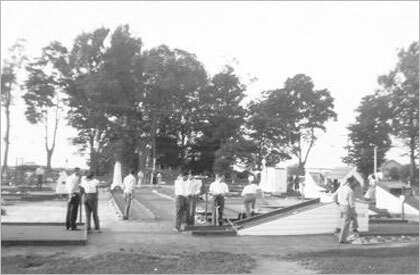 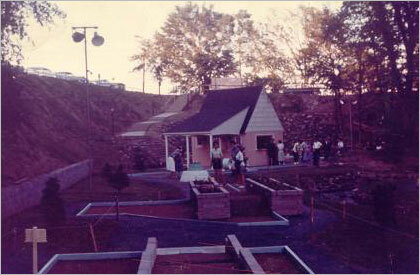 Though this organization only lasted a few years it was the first attempt to bring miniature golf operators together to promote miniature golf.